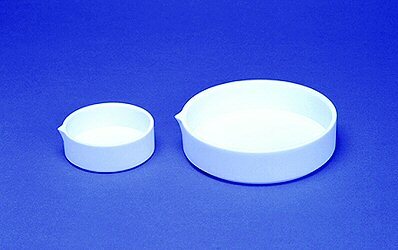 Manufactured from pure PTFE with heavy wall. Supplied in either tall form or low form with pouring spouts. Inert and useable to 260 degrees C. Smooth internal finish. Buy 4 evaporading dishes and save!